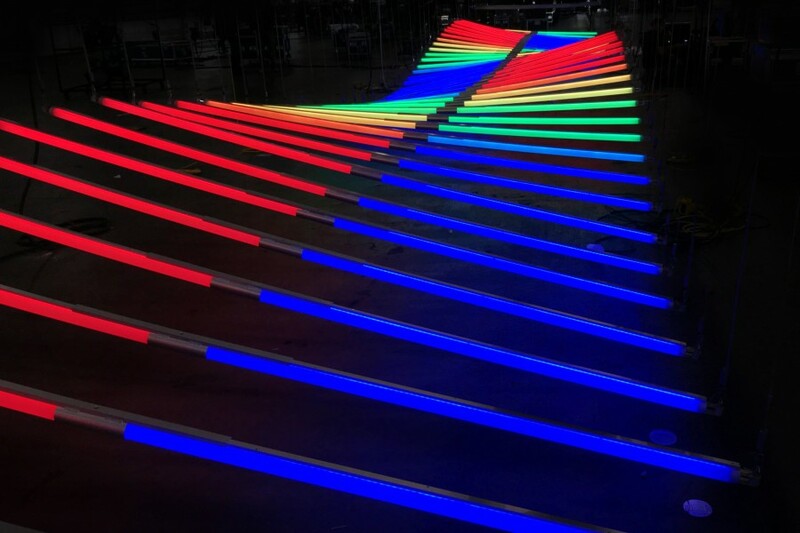 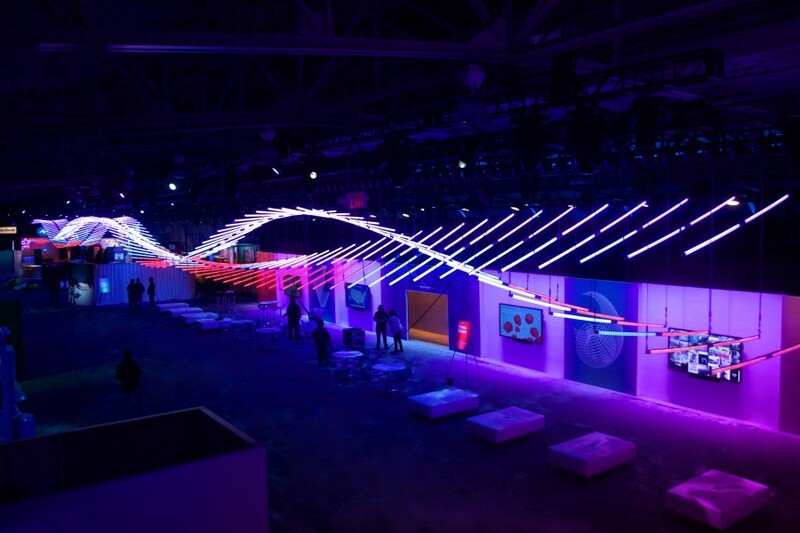 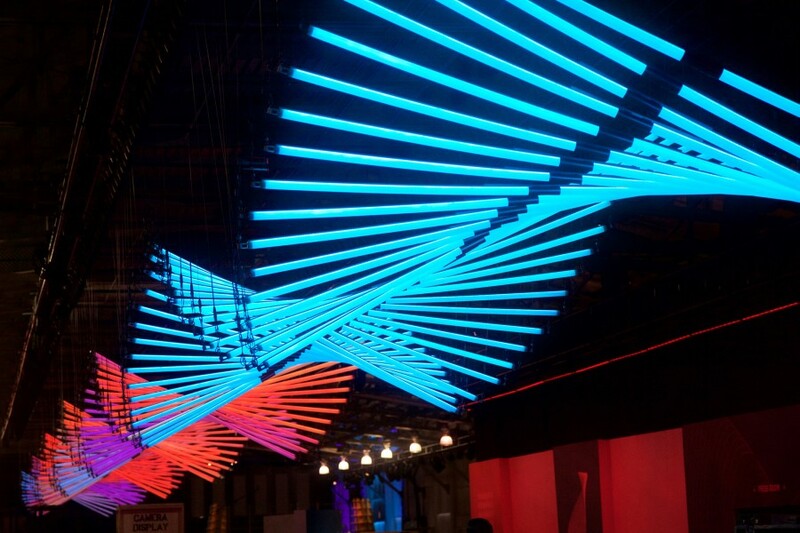 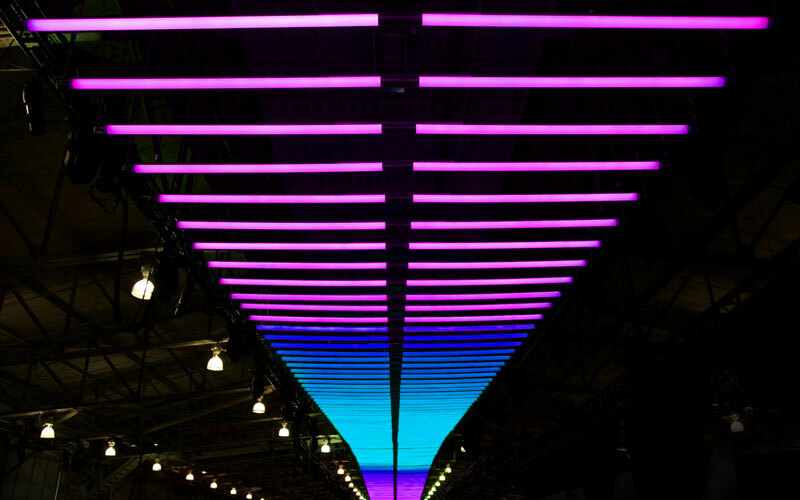 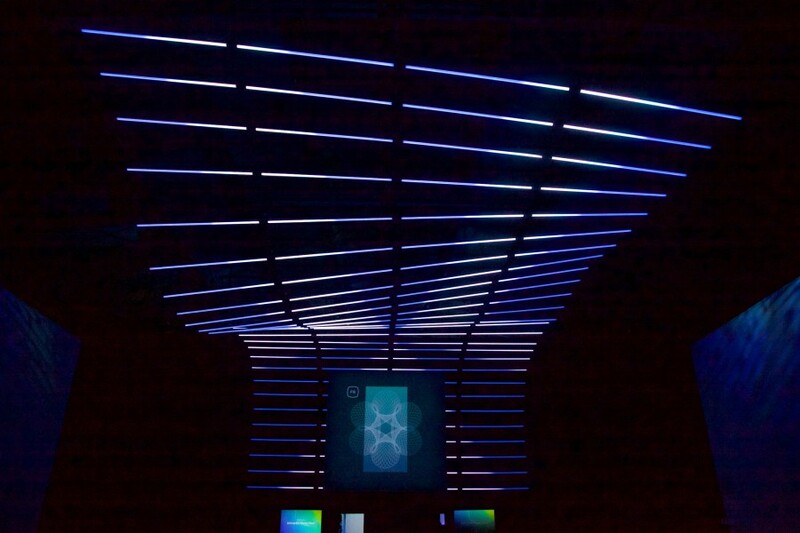 A gigantic 80 meters long THE WAVE installation made out of 340 Winch LED and 170 Double Rod LED lights was created for this years edition of Facebook F8 Conference. 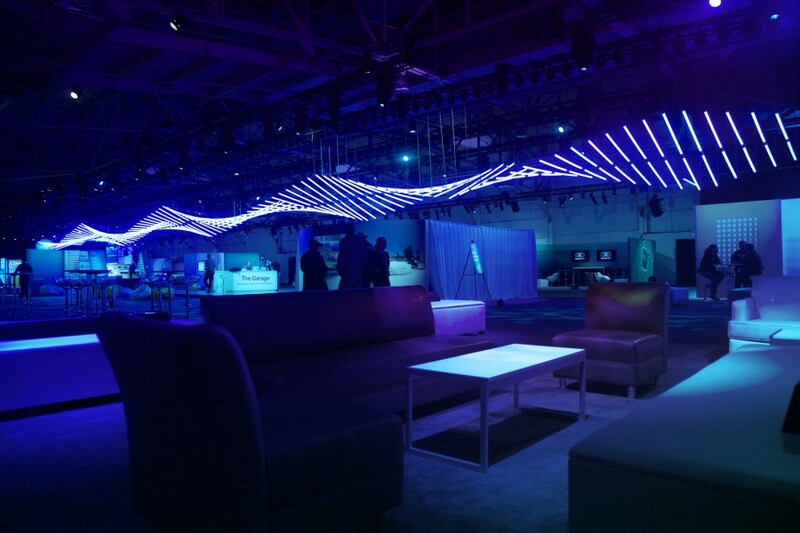 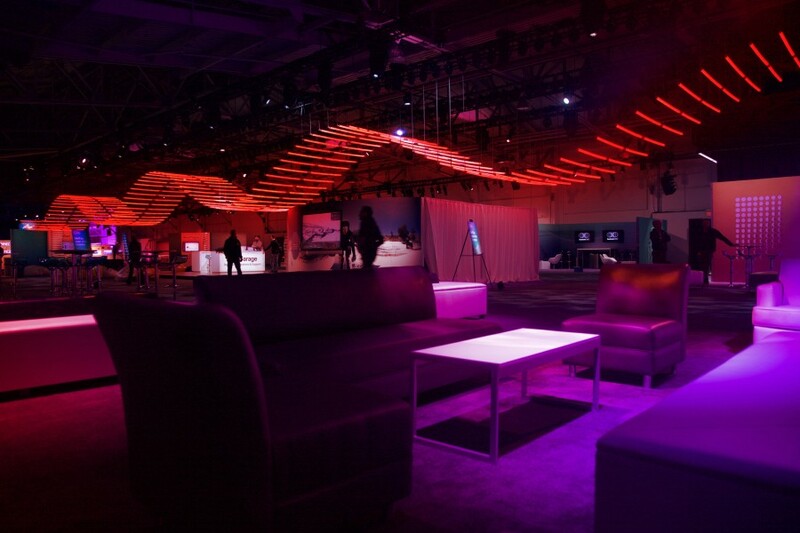 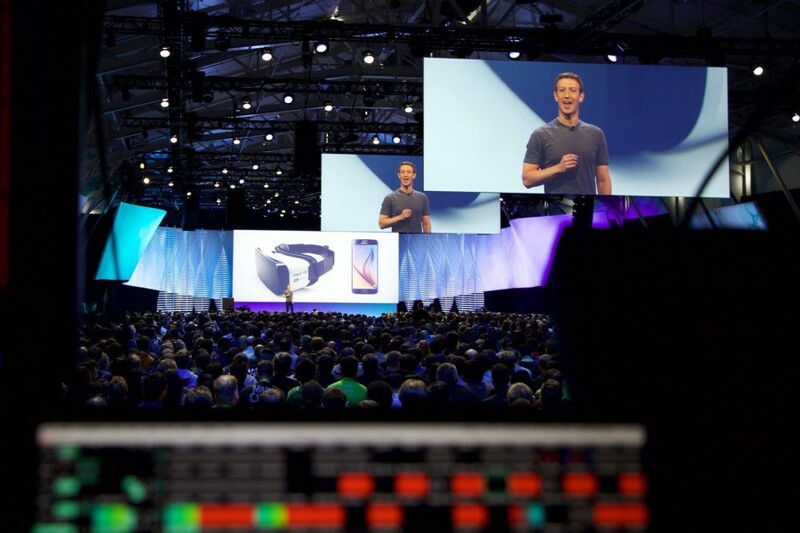 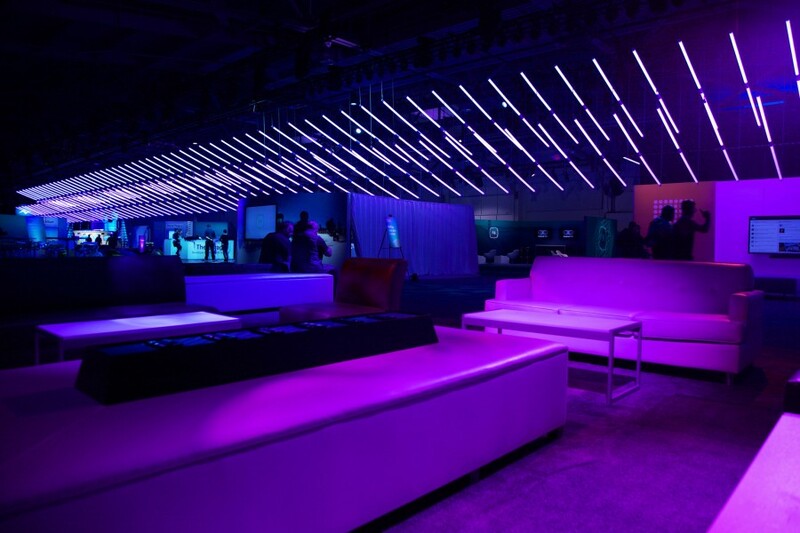 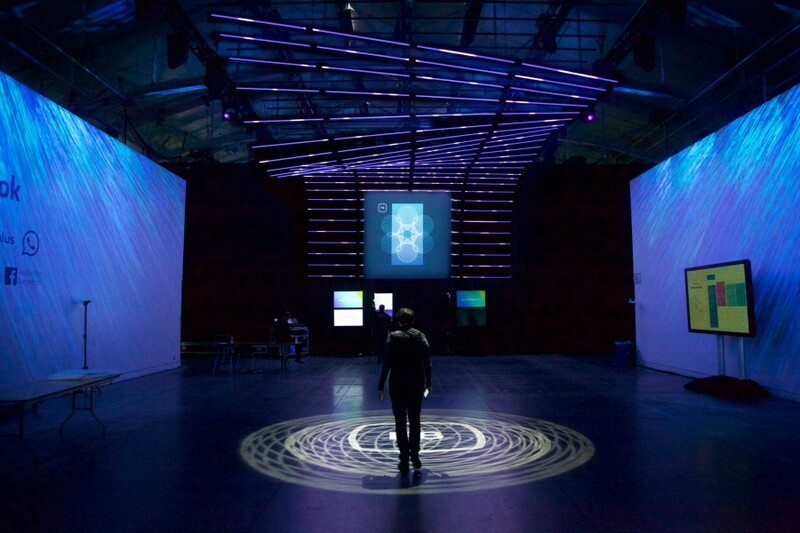 THE WAVE was the center piece of Facebook’s annual F8 Conference exhibition hall. 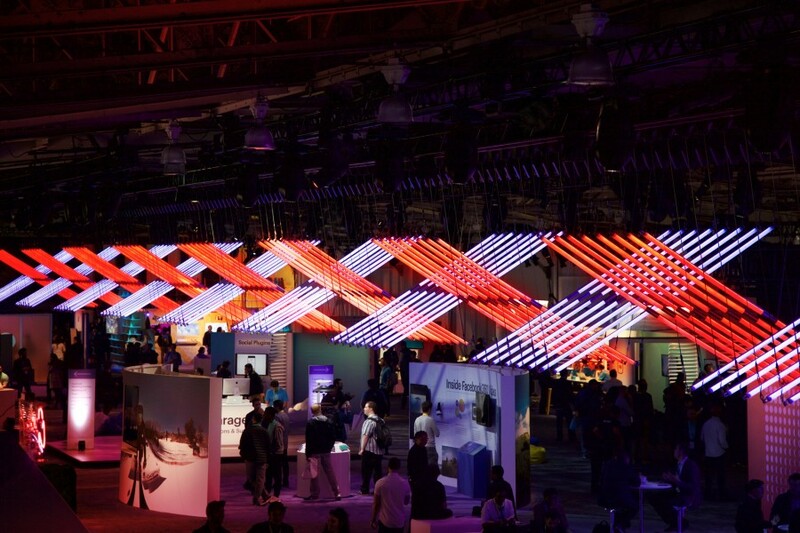 Additionally, we covered the main entrance to the conference hall with 160 fully pixel mapped Pixel Rods with more than 20.000 individual pixels in total.